Securely connect two pieces of equipment using these carabiners. 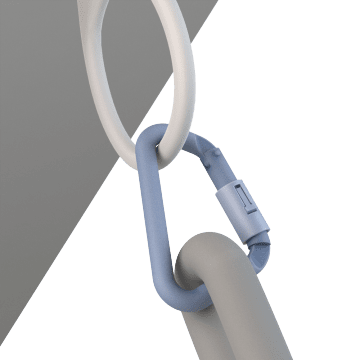 They have a self-closing gated opening that can be pushed open to quickly attach or detach lifelines, lanyards, harnesses, and other components in a fall protection system. The gate automatically locks when it snaps closed to keep it securely attached.